I'm quite late hearing this for the first time, but I was thrilled to discover composer Pierre Sauvageot's Harmonic Fields project, a participatory landscape of wind-activated musical instruments temporarily installed on the beach near Birkrigg Common, Cumbria, England. The haphazard plinks, drum rolls, whistles and drones is often mesmerizingly beautiful, as the following video makes clear. It's a kind of weather plug-in, constructed as a sequence of very different movements in space. It was intended as an actual sound trail—"a symphonic march for 1,000 aeolian instruments and moving audience," in the composer's words, quoted by the Guardian, and "it's important that it is not just a circuit of weird noises," he quickly adds. "The experience develops through individual movements." You are introduced to the quarter-mile trail with a prelude for 300 Balinese wind chimes, followed by an adagio slalom of tuned bamboo pipes, which gives way to a reflective passage for suspended cellos and deckchairs and a pentatonic interlude of turbine-driven glockenspiels. It concludes, like a proper symphony, with a coda drawing together all the elements in a climax of either frenzied dissonance or a soft, extended diminuendo, depending on the weather conditions. There is a hint that this might come to New York City, which would be a dream for at least this new east coast resident; and, even better, Sauvageot is described as a "true meteorological connoisseur," with an obsessive eye on wind systems and local weather around the planet, always looking for a new place to install his work. "The dry, warm sirocco of north Africa; the crisp, chilled chinook in the Rocky Mountains—I'd love to hear how they might sound," he tells the Guardian. 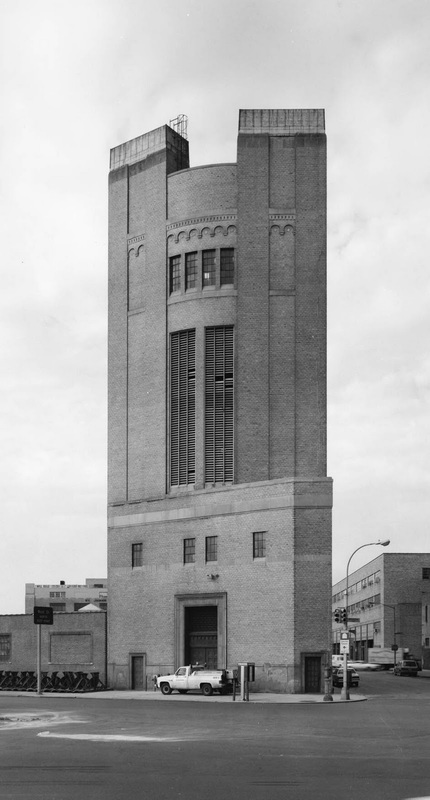 [Image: The Holland Tunnel Land Ventilation Building]. —and sometimes in the heart of the city. After all, there are also weather systems artificially generated inside the earth by construction projects and large-scale pieces of urban infrastructure, whole subterranean climatologies of moving air that would not otherwise exist without the implanting hand of architecture, as if surgically grafted there. Atmospheric cut-and-cover. A weather reserve beneath the sidewalk. In any case, the idea that a region's climate—its seasonal weather systems and thermal particularities—might become something more than mere background through a simple act of musicalization—that you could install Sauvageot orchestras in places all over the world to turn storms into symphonies—is amazingly suggestive for future design projects. From low-pressure systems in central Russia to the Santa Ana winds of suburban Los Angeles, architecture becomes a musical generator, an acoustic ornament activated by the sky. Nice project. Reminds me of the Wave Organ in San Francisco. Yes, enjoyed this very much. "...an acoustic ornament activated by the sky" is good. Thanks. Another wonderful weather-based musical installation is http:///www.variable4.org.uk - which is a generative piece using meteorological data from a weather station that's converted to a real-time, on-site musical score. Just had its 3rd outing at the Branchage Film Festival in Jersey.